By Jerry Carter. 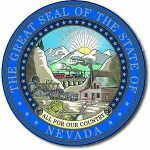 The Nevada Secretary of State has released its Quarterly Economic & Business Activity Report for the second quarter of 2012. Among the highlights: – 4,186 new corporations were created during the second quarter. – 8,910 limited liability companies were created. – The unemployment rate was 11.9%.